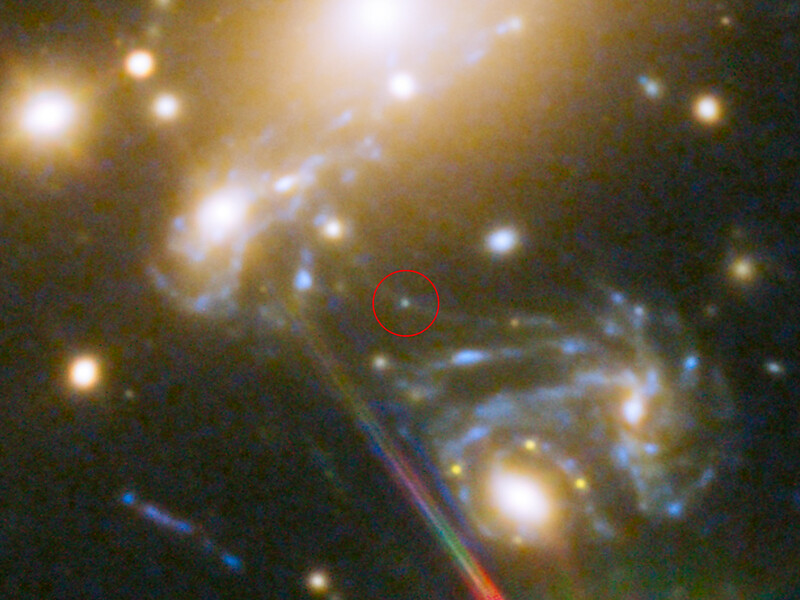 This image shows the the huge galaxy cluster MACS J1149.5+223, whose light has taken over 5 billion years to reach us. 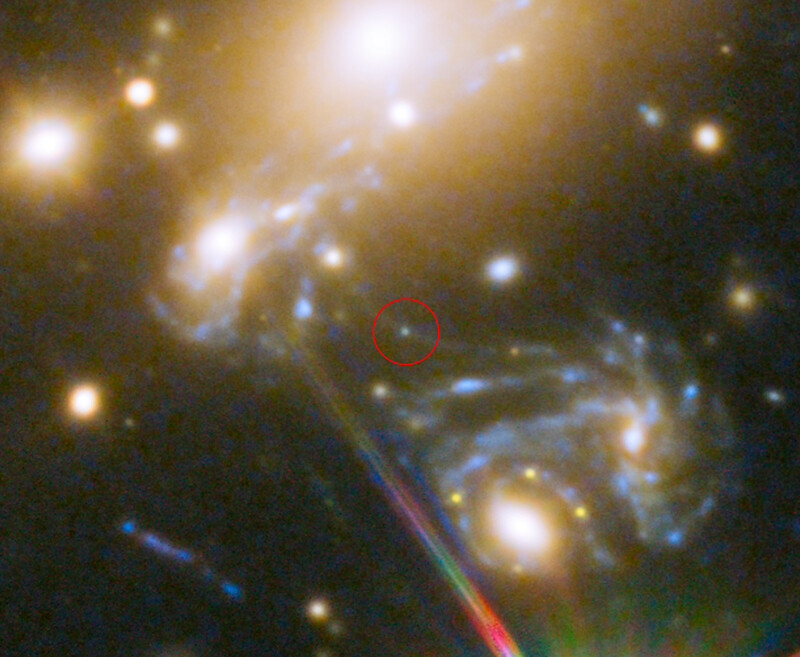 Highlighted is the position where the star LS1 appeared — its image magnified by a factor 2000 by gravitational microlensing. 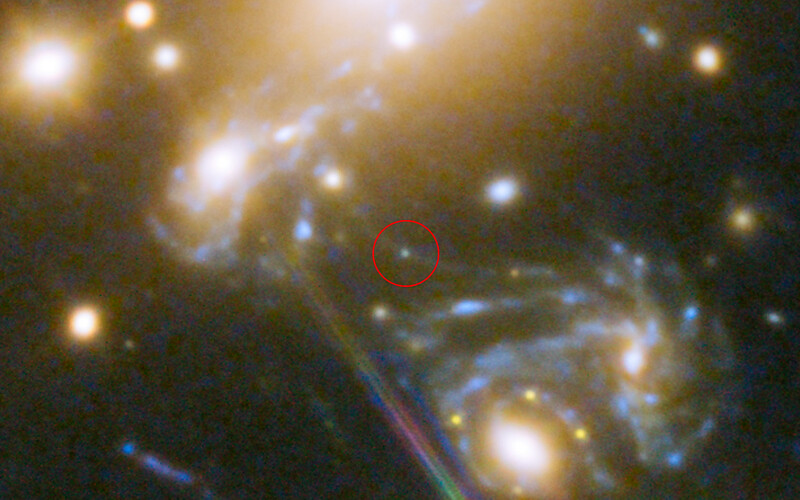 The galaxy in which the star is located can be seen three times on the sky — multiplied by strong gravitational lensing.